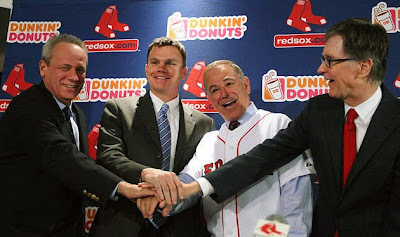 Congratulations to the Boston Red Sox on winning their third World Series in ten years. Narrative and praise can be bestowed upon any player, manager, coach, or executive, for their success the past decade. Many in the media have praised David Ortiz and Jonny Gomes for rallying the team with enthusiasm. Sure, encouraging players to focus and feel good through camaraderie exist and are a positive influence, but no-one knows how much influence. The acts of throwing, hitting, or fielding a baseball are affected by players' psyches at varying degrees. If we can just make up stories about the effectiveness of motivational speaking, I'll give a majority of the credit for their 3 most recent championships to Bill James. 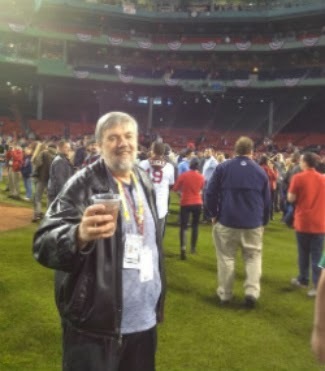 Having Bill James whispering sabermetric gold to front office executives should be the envy of every franchise. This year's Red Sox gave many franchises hope for quick recoveries after catastrophic seasons, like the Bobby V Experience of 2012. Doesn't it feel like Valentine was hired way more than two years ago? Before Michael Lewis wrote "Moneyball", Bill James pointed out that using three-year averages and trends of predictive statistics was more effective than primarily considering stats from the previous season. Spend some time with Baseball-Reference or Fangraphs, and you're bound to fall into a rabbit hole of leader boards and player pages. Since you're on this blog, it's likely you'll enjoy Baseball-Reference Play Index. For fun, we're going to share some of what we find tumbling along Fangraphs leaderbaords and the Baseball-Reference Play Index. If you see anything that strikes an emotion or nerve, let's talk about it in person, on Facebook, Twitter, the telephone, or in our forsaken comments section. Afterall, this blog is for you. On the Play Index, we looked at runners in scoring position with 2 out, for their careers. No real surprises until I looked at a little known statistic called tOPS+. The Play Index Glossary defines tOPS+ as "OPS+ of this split relative to the player or team's overall OPS: 100*((split OBP/total OBP) + (split SLG/total SLG) - 1)"
In other words, it's like OPS+, an index above or below 100. If the number is above 100, that is how much the player's performance over-indexes compared to his overall performance. The same for team performance if looking at team statistical splits. Conversely, any number below 100 tells us the player was worse in that split than his overall performance. More examples: a 175 index is 75% better than average; a 73 index is 27% worse than average, and a 200 index is twice as good as average. 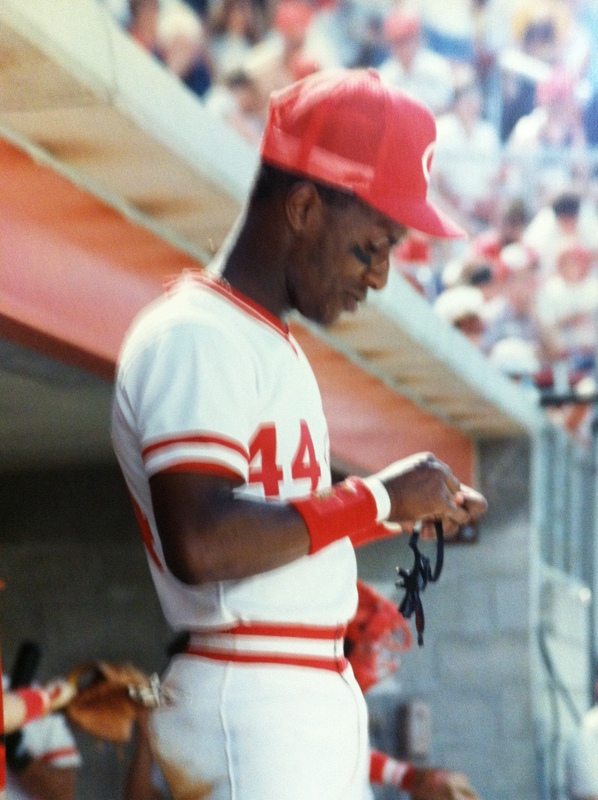 The player with the highest Career tOPS+ for batting with runners in scoring position and 2 out is Eric Davis's 133, meaning that Eric Davis was 33% better with 2 out and RISP than he was overall, throughout his career. That's a pretty enormous difference in on-base percentage. Other players with high tOPS+ with RISP/2 out include Jimmy Rollins and Joe Mauer. I don't feel good about giving away too much content from paid sites. The J-Ro and Mauer numbers should be easy to check out on their player pages, anyway. Getting back to the free stuff on Fangraphs, there are no real surprises in the leaderboards for qualified hitters the past 3 seasons. Dropping the minimum plate appearances to 300 tells us a few things. Yasiel Puig has the 5th highest wRC+ among all batters with at least 300 plate appearances over the past three seasons. Too bad Ryan Braun lost his credibility. Brandon Moss (144 wRC+) and Josh Donaldson (130 wRC+), of the Oakland A's, have the two highest wOBA+ among players who fall just beneath the 1,000 plate appearances threshold for "qualified" hitters the past three seasons. In Wil Myers' 37 plate appearances this season, he had a 131 wRC+. As a bonus to anyone who's made it this far into the post, let's take a quick peek at the baseball prospectus sortable stats. It should go without saying, but subscribing to Baseball Prospectus is a must. *netDP is defined as "the number of additional double plays generated versus an average player with the same number of double play opportunities. Negative NET DP indicates that fewer double plays than added were produced. Let's talk for a minute about batters who know the strike zone. Batters can do damage to pitches outside of the zone, but for the most part, it is valuable to take pitches that are out of the zone. Something interesting we found is that 10 of the top 11 players with the lowest 2013 swing percentage of pitches outside of the strike zone are from the United States or Canada. The 11th, Alberto Callaspo, is from Venezuala. As baseball people have been saying for years, you don't walk off the island(s). Looking at the statistic on Fangraphs, among active players for the past 3-years (2011-2013), 22 of the top 23 come from the US or Canada. Geovany Soto (19th), hails from Puerto Rico. Affix a red flag to Tyler Clippard, but he's still been really good. 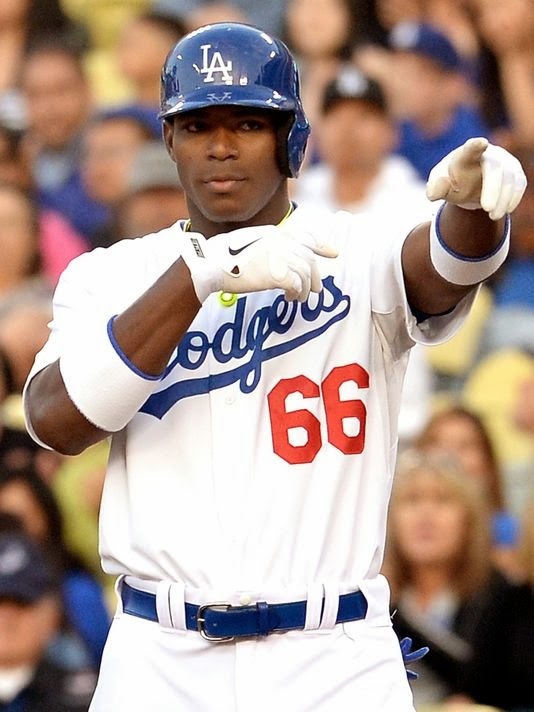 Over the past three seasons, across 911 plate appearances, opponents have a .173/.249/.309 BA/OBP/SLG slash line. His fastball velocity also has not dropped significantly. 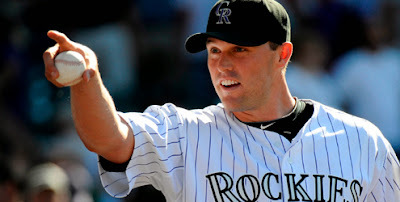 According to Pitch F/X, the average velocity of his four-seam fastball was 90.5 in 2009 trending to 92.2 in 2010, 92.6 in '11, 92.7 in '12, and 92.0 mph last season. Part of the reason to remain bullish on Clippard is that he primarily succeeds with a devastating changeup. If Clippard were more reliant on a breaking ball, he would be more susceptible to a lack of effectiveness from overuse and/or injury. 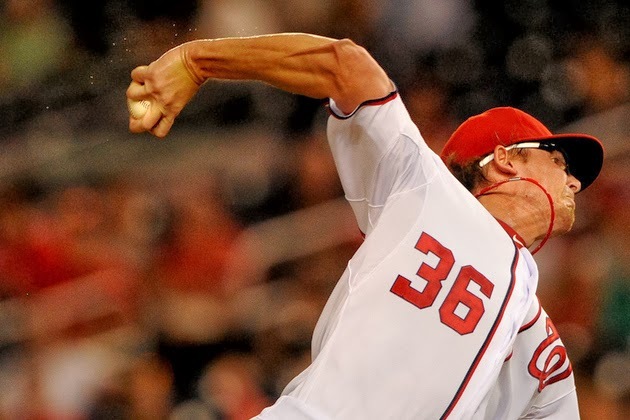 Oh yeah, Tyler Clippard is also really good at strikeouts. Why the 220 innings pitched minimum? I don't know; it seems like a good place to only include relievers who've provided a constant presence the past 3 years. The original purpose of this blog was to look at the game from various perspectives, and time has often been the best variable to change. It's cherry picking to pick different start/end points, or innings minimums, but we're doing it to see what story it tells, not to change it to a story we're searching for. 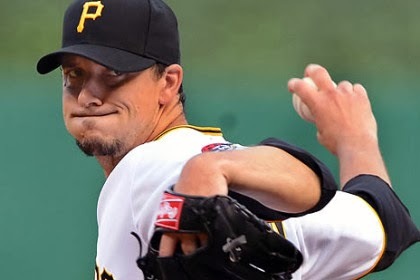 Early stat of the decade nomination: Joe Blanton has a top 10 K/BB for the 3-year period between 2011-2013. We've been too quiet over here, so the remedial sabermetrics of these pitching stories can really help get the discussion started. Let's see which players have shown the biggest difference in speed between their fastball and changeup. Tyler Clippard shows up everywhere. Defensive metrics are among the most volatile sabermetric stats. While few agree on the best defensive statistic, some old schoolers dismiss defensive stats altogether. It's fairly well known to use defensive data from at least three full seasons to get close to the true value and context of defensive performance. It'll be interesting to see how the release of Field F/X advances research enough to make smaller sample sizes statistically significant. Simmons is incredible. We advocate Andrelton Simmons enthusiastically. I'm wholeheartedly sold. 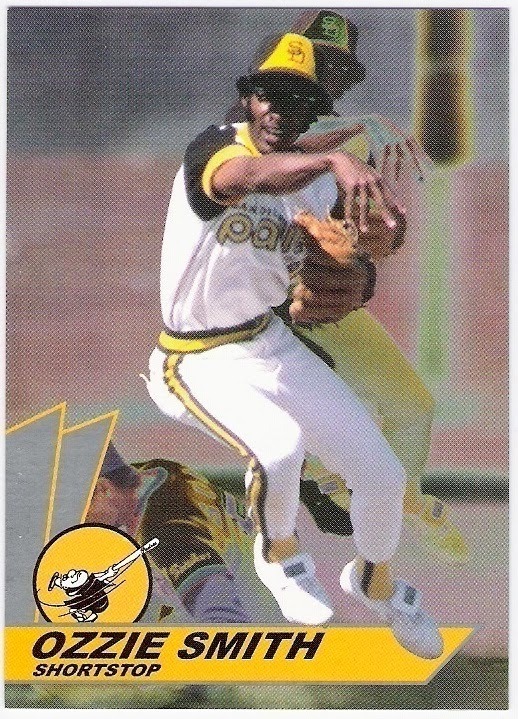 He's the best defensive shortstop I've ever seen, and that includes late-80's Ozzie Smith and highlights of early-80's Ozzie Smith. Simmons has the best arm strength, accuracy, and balance that I've ever seen in a shortstop. Not the best combination of those three attributes, he's the best in all three. My favorite part of the stat above is that Andrelton Simmons is on such a phenomenal rate of saving runs. Therefore, Simmons has only played one-and-a-third seasons. By comparison, Brendan Ryan has played 368 games the past three years (Barmes 375). Should Andrelton Simmons' defensive stats not matter until circa June 2015? The way Defensive Runs Saved is calculated makes a case for its validity with short-term score keeping, not necessarily forecasting. Plus, his numbers are aligned with results from the scouts' eye test. Okay, Jeter was predictable, but who would have guessed Nunez and Reyes? The horrendous rate of Nunez's defense is most striking when looking at innings played. Looking at first base defense, according to Defensive Runs Saved the past three seasons, Adrian Gonzalez wins by a mile. Almost lapping the competition, Gonzalez has saved 39 runs since 2011. 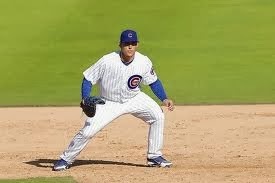 The next best is Anthony Rizzo at 22 and James Loney with 21 DRS. Rizzo has played 1,400 less innings than Gonzalez and almost 1,000 fewer innings than Loney. Let's calculate DRS as a rate stat, per one-thousand innings played, and call is "DRS/M" (M is the Roman numeral for 1,000). Metrics for catching value are the furthest from being comprehensively accurate. There is still so much we do not know about the value of reading opposing batters' swings and calling a good game, pitch framing, nor how much value of controlling the opponents' running game should go to the pitcher or catcher. Looking at defensive runs saved touts the value of Yadier Molina (24 DRS) and Russell Martin (17 DRS). Matt Wieters leads the rest of the pack with 9 DRS. If you drop the minimum from "Qualified" to minimum 2,000 innings played, Salvador Perez appears with 21 DRS in just over 2,100 innings caught. Nick Hundley and Buster Posey also make a strong appearances with 8 and 7 DRS in almost 1,500 and 1,200 fewer innings, respectively, than Matt Wieters' 3,539 innings the past three years. Perhaps a 3.6 difference in Def rating is minuscule. If anyone out there has some thoughts on the matter, please share. The area of greatest advancement the past couple of years has been with the study of catcher framing. I'm having a tough time finding catcher framing data on Fangraphs, B-R, and Baseball Prospectus. It appears they don't publish value for this performance, unless it's hidden inside a composite stat. Fortunately, we are able to look at some great details on the Catcher Framing Report of Matthew Carruth's impressive StatCorner. Catcher framing is murky art. Credit is given to catchers who have strikes called on pitches outside the zone. Conversely, they are penalized for pitches in the zone that are called balls. Much of that can be seen, as graceful catching and framing of the ball, so it looks like a strike. Other times, it could just be bad umpiring. The ideas is that with such a large sample size, of thousands and thousands of pitches, the good or bad luck associated with umpire quality will even out. The StatCorner Catcher Framing Report doesn't provide 3-year averages or totals, but we can look back at prior years. Here's a snapshot of Catcher Framing "Best and Worst"
Max Marchi opened eyes on evaluating catcher defense in 2011 at Hardball Times. Ben Lindbergh did a great job six months ago bringing pitch framing analysis to the masses on ESPN's Grantland. In case this prolonged experience on the reality tour hasn't satiated your appetite for reading, check it out.